Every year, roundabout the beginning of May, her father would take her to that place. In silence, they would cycle in tandem, until they reached the imposing entrance. He would step off his bike and place it against one of the pillars. Then he would take her smaller bicycle and lean it against his. 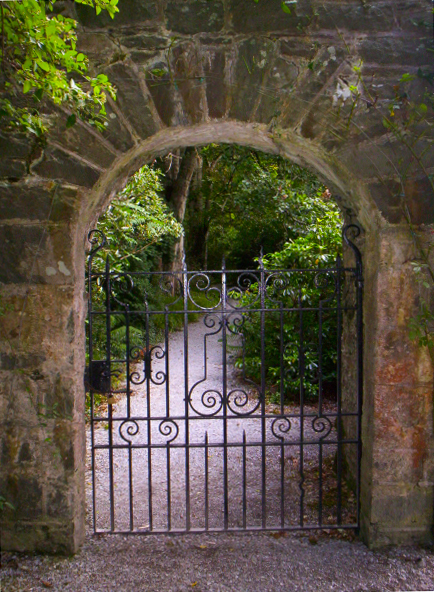 Slowly he would push open the heavy cast-iron black gates and gently nudge her forward. The path ahead ran quite a distance, flanked by eerie warped, giant yew trees that prevented any sunlight filtering through so no grass nor anything else could grow underneath. She stood there frozen for a minute and listened to her heart thump. As always, it was the clearing at the end, where the light was allowed to enter, that gave her the courage to go on, alone, into the darkness. There were fairies in the clearing – she was certain of that. And perhaps gnomes with red pointy hats. Happy creatures that worked hard together to make life more pleasant for all the animals and insects that lurked around in the dark gloomy undergrowth. Step by careful step, she would walk on until she reached that bright circle. She always wanted to linger a bit here. Bask in the warm rays of sunshine. But she knew she couldn’t. She was on a mission. She had to go on. 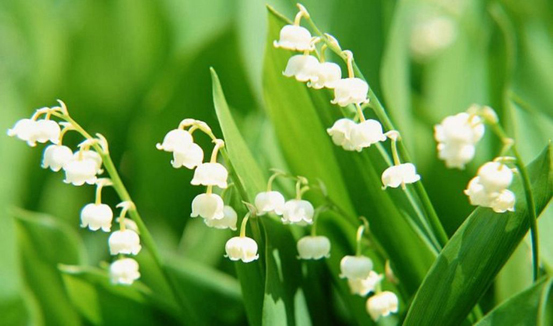 The lady of the big hidden house allowed her just a short time to pick as many lilies of the valley as she could gather. And her father relied on her. No time to dilly-dally. No time for dreaming. 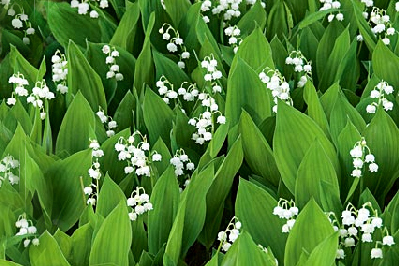 Forward and onward she must go, into the next dark shaded part of the garden where a sea of fragrant little white bells on delicate green stems awaited patiently, ready to be transported into the sunny front rooms of old ladies, thus fulfilling their role of sweetening the air in strange houses.